The demand for unique couple shower invitations so many times recently that I knew I had better get moving and come up with some ideas for wording, poems and themes for some free, printable baby shower invitations. Hostesses are clamoring for shower invitations and party ideas that let the guys know they are welcome at the baby shower as well as the moms! It would seem that the trend in modern baby showers is that at least one celebration will include both boys and girls and then have another more formal and traditional shower for girls only. Couple Shower Invitations, Baby Shower Themes and more! Go here to see more invitations and decorations for a "Wine to Whine Baby Shower" and many more. Couples showers are usually of the casual, less structured or formal variety because ladies know that men won’t willingly participate in tea parties where the only games and activities might involve balancing a tea cup on a saucer while holding a tiny china plate with some mints and a sliver of cake or cookies. Ladies love to dress up in their finest outfits and jewelry and practice their pretty manners, but the guys look forward to the opportunity to shed the necktie and loosen their collar and hang out with their friends, so let’s accommodate them! There is no reason not to loosen the rules of baby shower etiquette, so why not? Who says that a celebration to welcome a new baby into the family shouldn’t be fun? 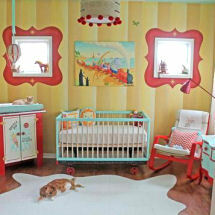 The first order of business for a Jack and Jill coed baby shower or party is choosing the appropriate invitation. Whether you choose free printable couple shower invitations from a template online or purchase blank baby shower invitations that you buy at a store, be sure that you know how to word a couples shower invitation that will make it perfectly clear that the shower is for the dads as well as the moms. Do your best to indicate that the party will be informal (you might mention jeans or shorts) and filled with co-ed baby shower fun and games. It would be a good idea if the couple baby shower invitations that you make yourself or buy are in a theme that will appeal to men. Sports Theme Invitations– Find which sport is daddy’s favorite and print your baby shower invitations accordingly. If you know a favorite team or even the team colors, that will be even better! Hunting or Fishing – If the pop to be is an outdoorsman with a den full of trophies that put some taxidermist in a higher tax bracket, there’s an excellent theme for your couples shower invitations. Take some blank baby shower invitations and print a picture of a simple fish hook on the front of the invitation if fishing is appropriate. If daddy is a big game hunter, a picture of a deer, moose or whatever he stalks would be great for the front of the card. 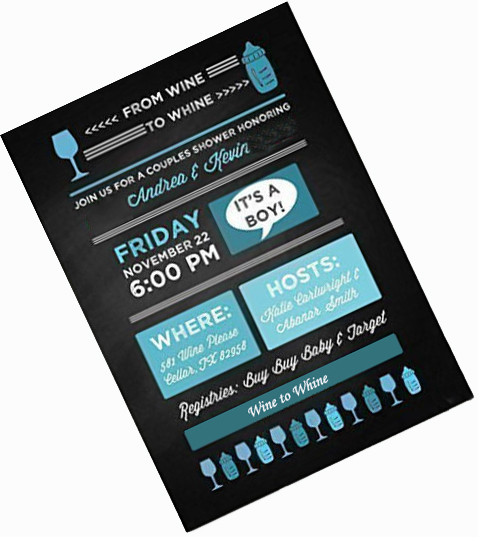 Use some free clip art and your inkjet printer to make your own cheap, couples shower invitations in this theme. Motorsports – If mom and dad are bikers, a pic of a vintage Harley, street bike or motorcycle of their choice would be easy to print on a personalized couples baby shower invitation that would send the message that the biker chicks as well as the dudes are invited to the motorcycle or biker theme baby shower. Rock and Roll Baby Shower - Print a single musical note on the front of the card in black in with another small image on the flap of the envelope with some wording on the inside of the couple shower invitation that invites the men to re-visit their college or high school glory days. We won't bother to tell them that we are getting him ready to rock all night; with a newborn baby in his arms rather than a stratocaster. Personalized Couple Baby Shower Invitations - To create a unique, personalized couple shower invitation, scan a picture of mommy and daddy onto the front of a blank baby shower invitation. A picture of daddy with loving hands placed gently on mom's pregnant tummy would be nice. If you feel that something so romantic would discourage your friend's husband's from attending, take a picture that's silly and fun. For the inside of the invitation use a poem or wording that says something like, "Let’s shower mom and dad with our best wishes and congratulations on their new baby!" Daddy's Occupation- We all know that men and their egos are tied to their income and occupation so some couple shower invitations with a nod towards daddy's job, profession or business might be a good idea. If daddy is a banker, green dollar signs printed on a blank invitation would be excellent. If daddy is a mechanic, a picture of a wrench or screwdriver would do the trick. Once you wrap your head around the concept of tickling dad's fancy beginning with the invitations, you can start to develop some baby shower themes and come up with some unique baby shower gift ideas that will stroke his ego. The coed, couples shower invitations are not the only way to include the dads. Be sure to mention his name as well as mom’s on any personalized banners, napkins or cake decorations used to decorate the location of the couples shower. Return to Unique Baby Gear Ideas for more ideas on how to hostess a fun Jack and Jill, coed or couples baby shower.